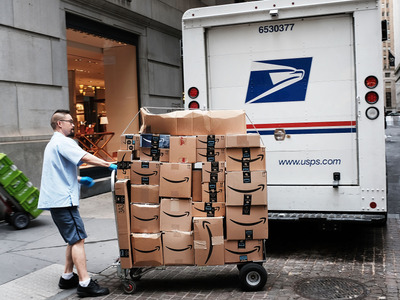 Getty/Spencer PlattA USPS worker delivering Amazon packages to businesses. It’s also adding spending analytics and controls for its higher tiers of service so that businesses can see and control how much they are spending. First up, it’s expanding shipping options beyond the already-offered unlimited free two-day shipping on millions of items. It will now offer Business Prime members one- and same-day shipping on “one million” items, Amazon said. The faster shipping times are only for orders that total $US35 or more and only for businesses located in a select 8,000 cities and towns in the United States. For easier receiving, members can also now tell Amazon to consolidate the shipments into larger – but fewer – shipments. Spend Visibility provides visualisations of spending done on Amazon using already-made graphics. It uses Amazon’s proprietary QuickSight software. For Guided Buying, Amazon is letting business owners take more control over their employees’ corporate spending. It lets them set certain suppliers or products as “preferred” or even disallow purchasing of them altogether. These selections can reflect company policy. Think of it like parental controls, but instead of parents, it’s a business and the children are the employees. Amazon offers these benefits to businesses of several different sizes. While Business Prime costs $US175 a year for its brand-new “Essentials” tier, that only allows for three users at a single business. Essentials also does not include Guided Buying or Spend Visibility. These small business owners can switch between regular Prime and Business Prime to keep purchases separate. 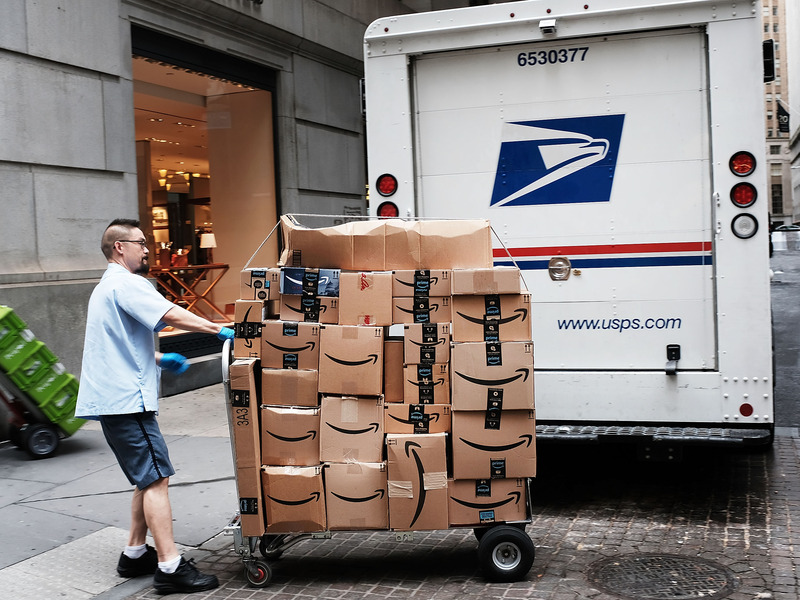 But Amazon also offers other packages for different-sized businesses, including small ($US499 a year for up to 10 users), medium ($US1,299 a year for up to 100 users), and enterprise ($US10,099 a year for over 100 users). Businesses no longer have to buy a Prime subscription for each employee that needs to purchase on Amazon for work. Amazon is putting a lot of focus on its business-to-business sales, and it’s paying off. Sales on the Amazon Business marketplace, which connects suppliers to businesses, hit $US10 billion yearly worldwide, the company announced in September. Just two years ago, those sales were $US1 billion. They could grow to $US25 billion by 2021, according to Colin Sebastian, a financial analyst at Baird Equity Research, who wrote as much in a September note to investors. Amazon already says that its business product is used by more than half of the Fortune 100 businesses in the US. It’s also used by 40% of the 100 most populous US cities’ governments and 80% of the US’ largest educational institutions.